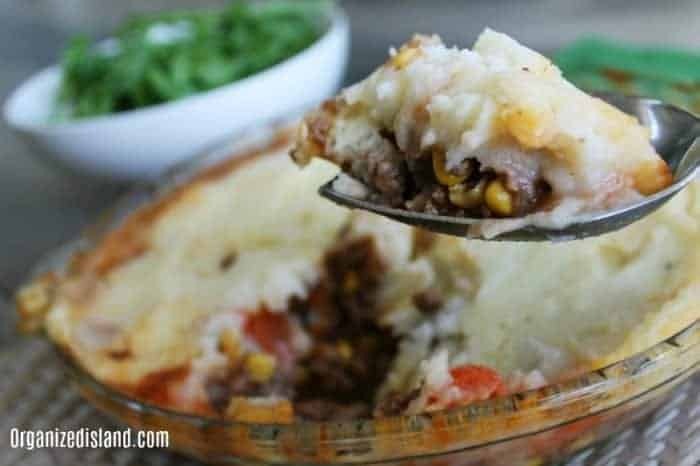 This Simple Shepherds Pie recipe that is tasty and comforting and so easy to make. While it makes a fun St. Patrick’s Day dinner idea, it really is a recipe you will want to make again and again. 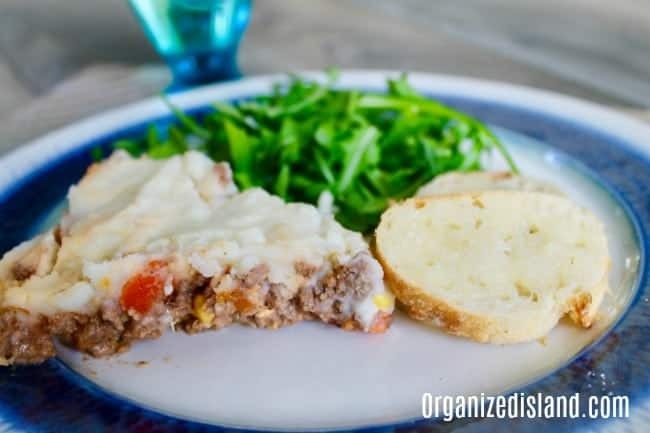 Perfectly baked ground beef with vegetables topped with creamy mashed potatoes. Shepherd’s Pie is one of those recipes that is so comforting and nostalgic for me. It is always tasty and so easy to make. This recipe is one I adapted from an old Betty Crocker recipe. It’s also a nice recipe to make ahead of time and enjoy later in the day or on the following day. This recipe does not have peas because my husband is not a fan of peas. But it is still super simple to make with other vegetables. I used Mexicorn to add a little color and flavor to the pie, but you can use canned or frozen mixed vegetables too. If you have ever wondered how to make Shepherd’s pie with instant potatoes, you can use this recipe. Instant potatoes take practically no time at all so it is a great time-saving cooking shortcut. You can also freeze this casserole. See below for instructions on how to freeze Shepherd’s pie. Saute beef and onions in oil in a skillet over medium heat until ground beef is browned. Add tomato paste, Mexicorn, carrots, garlic, paprika, salt, pepper to meat mixture. In a separate bowl, mix together beef broth and flour until flour is dissolved. Add broth to beef mixture and heat over medium-high heat 5 minutes. Top with mashed potatoes by adding spoonfuls into beef mixture. Smooth out mash potatoes so they cover pie. Bake 25-28 minutes until tops of potatoes are light brown. Use prepared boxed mashed potatoes for the topping. Make this a day ahead of time and dinner is ready when you are. Double the recipe and freeze one. Line the pie pan in foil before adding ingredients and it will be easy to store in the freezer. To freeze, let the pan cool to room temperature, and tightly cover with foil. Will last in the freezer for up to 2 months. 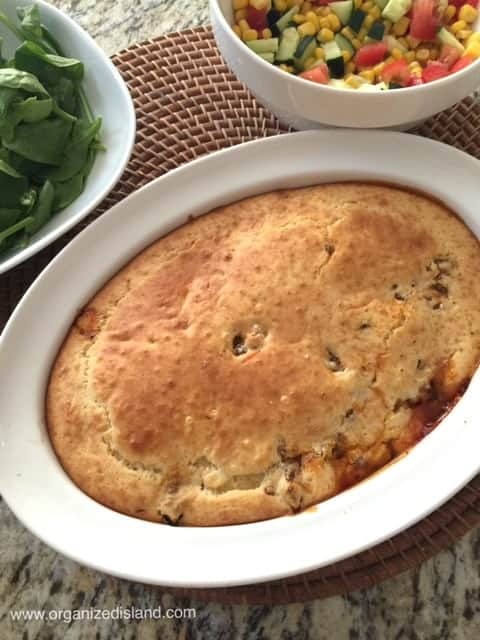 If you like this recipe, you may want to try my Sloppy Joe Casserole. 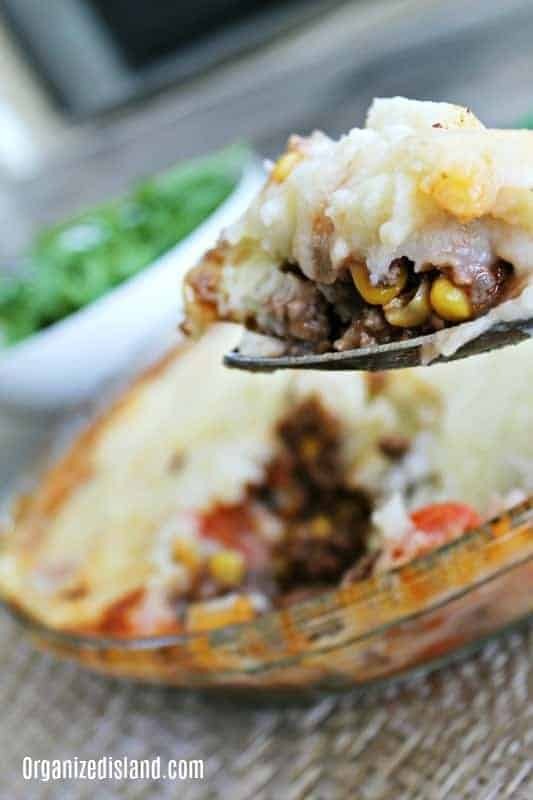 We hope you enjoyed this easy Shepherds Pie recipe. How often do you have casseroles for dinner? Sounds yummy! Will have to try it out. This sounds amazing. Can’t wait to try it! Love meals I can make ahead of time! I haven’t had this in years, Thank you for the recipe. I love a good shepherds pie, so comforting! 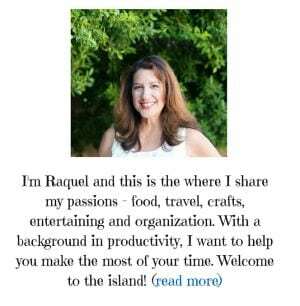 I always liked them because you can use up leftovers too! 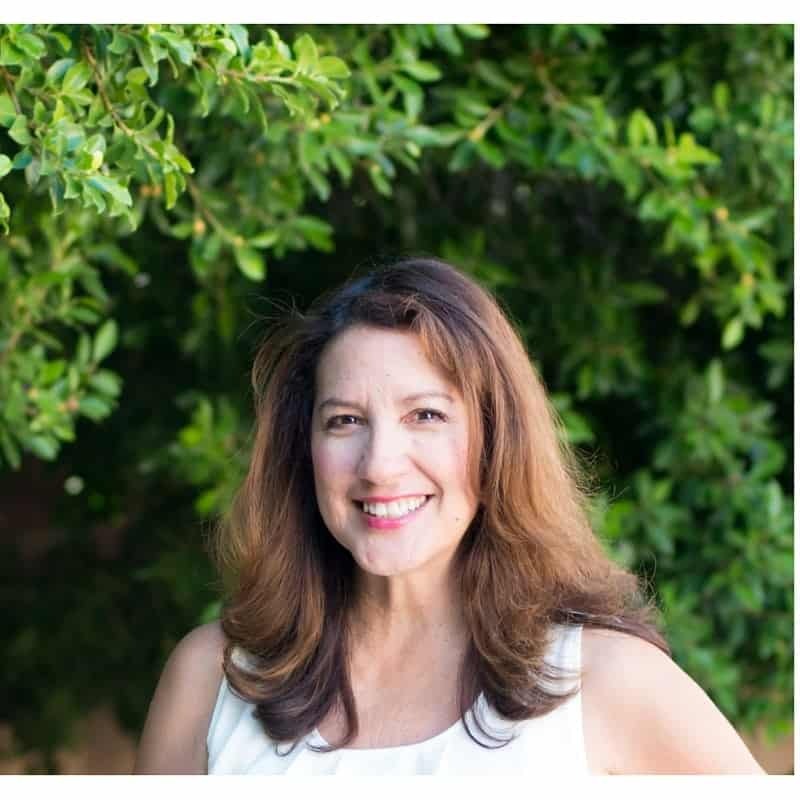 Yours looks fantastic! This is one of our fav and easy dishes to make. Thanks for the new idea. 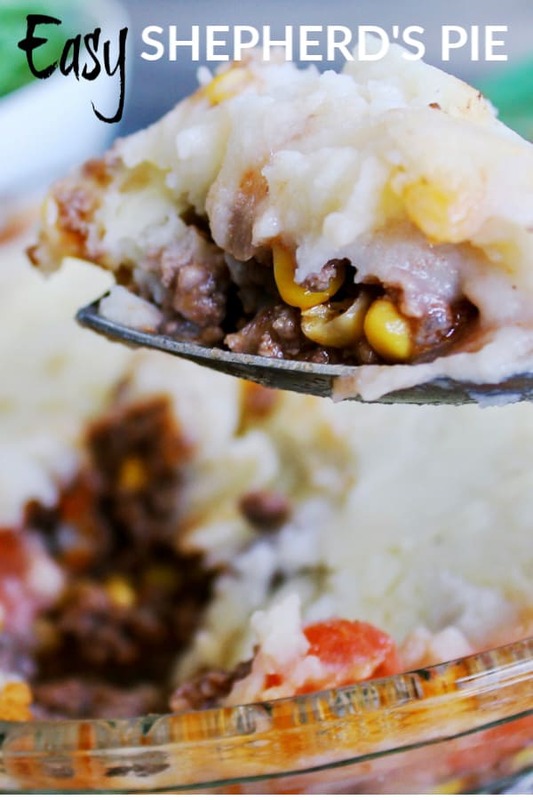 I love the idea of an easy Shepherd’s pie recipe. It wold be delicious. 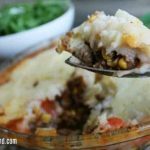 My family loves Shepherds Pie and this recipe just puts a different twist on it. Thanks for sharing. Mm.. it looks perfect. I think you know how much I love Shepherd’s Pie! Very, very much!